Helmed by Anurag Singh, the film also features Parineeti Chopra in the lead roles. Bollywood actor Akshay Kumar is all set to stun us again with his upcoming film, "Kesari" and the posters and now the two glimpses that the actor has shared on his social media are proving it. The movie which is slated to release on 21st March 2019 which also has the festival of Holi. Now Khiladi Kumar has shared the first video glimpse of the movie. 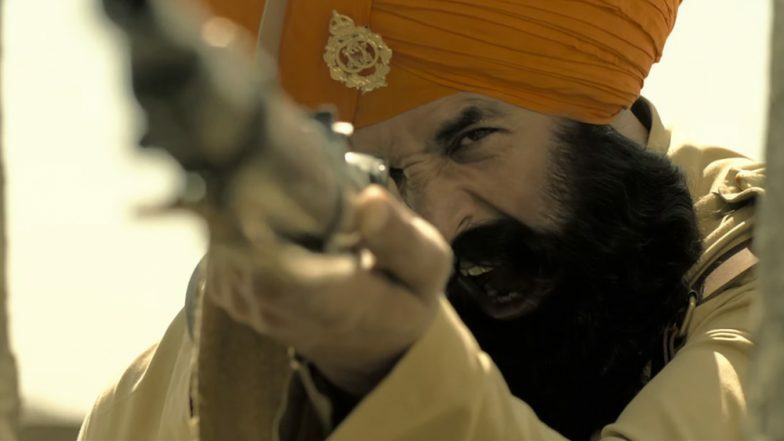 In the new poster of Kesari, we can see a close up of Akshay as Ishar Singh who looks absolutely intense. While sharing the glimpse, he wrote, "It's an UNBELIEVABLE TRUE STORY". Netizens have even predicted that the movie will be a blockbuster just by the looks of the poster while many commented that the film will before they have never seen before. Kesari is based on the battle of Saragarhi of 1897, in which 21 Sikh soldiers of the British Indian Army went head-to-head with thousands of Afghani tribesmen in Saragarhi in the North-West Frontier Province. Since morning, we have been watching glimpses of the film as before the official trailer releases on February 21.